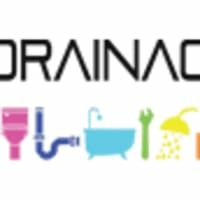 Need help with a blocked drain in Brighton and Hove?blocked drains need no longer be a problem, as you have found the number one provider of emergency blocked drain services in Brighton and Hove When you have a blocked drain, one of the big worries is damage to your property and pipes, and we understand the inconvenience as well.The most professional service when you have a blocked drain problemWhenever there is a problem with your drain it is important to call the right people to unblock your pipes. If you have a drain emergency in Brighton and Hove we are available 2hours a day, 7 days a week, and can normally be with you solving your problem within one hour. 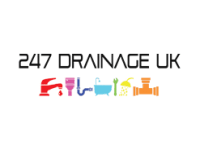 No team in the Brighton and Hove area is as professional and affordable as our specialist drainage and blocked drain team.If you are worried about the cost then you will be pleased to read that we don�t charge emergency fees when called out to solve your problem in a hurry. Whether you have a developing problem, or an emergency that needs a quick solution, we use the same pricing policy.Diagnosing the problem with your drainblocked drains are a more frequent occurrence than many of us actually realise. We think it�s important to understand why your drain blocks so that it doesn�t happen again in the future. We find that often the cause of the problem is a product, such as a baby wipe, that has been mistakenly thrown down the drain and has caused an impediment to the flow of sewage down the drain pipes.Other causes of the problem can be rust and grime, which can result in a requirement for replaced pipes, or a thorough restoration process, meaning a comprehensive investigation and taking the pipes out. Our solutions are geared towards solving problems permanently so the issues don�t arise again in the future. We will always consult with you before we do anything so you understand the cost implications.